The federal government’s Fourth National Climate Assessment should be a major wake-up call for the Midwest. The report details the serious consequences of our addiction to fossil fuels in communities such as Dubuque and throughout the Midwest. Our elected leaders not only need to acknowledge the gravity and urgency of the problem but do everything in their power to solve it . . . Dubuque is working to prevent the worst of these effects by advancing clean, carbon-free renewable energy at the local level. With the adoption of Dubuque’s plan to reduce the community’s greenhouse gas emissions 50 percent below 2003 levels by 2030, the City Council solidified our commitment to mitigating and adapting to climate impacts. Read more here. 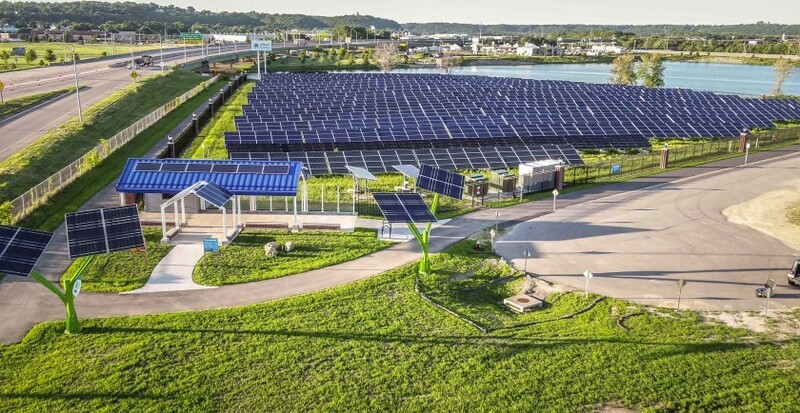 The Institute for Sustainable Infrastructure (ISI) announced April 2018 that the Dubuque Solar project earned the Envision Platinum rating for sustainable infrastructure – the highest Envision award level. This is the first solar project to receive Envision recognition, and second project in Iowa to receive an Envision Platinum rating. 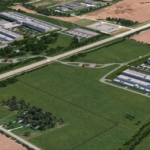 Industrial Info Resources (Sugar Land, Texas) is tracking nearly $6 billion in Power Industry projects that are planned to start or be completed in the U.S. Midwest market region in first-quarter 2019. The Midwest includes Iowa, Kansas, Minnesota, Missouri, Nebraska, North Dakota and South Dakota. Wind power dominates these projects in terms of project value. Iowa, with more than $1.8 billion in planned starts and completions, leads in terms of project value. [Omaha-based] Tenaska Inc. for 250 MW of wind-generated electricity. Solar farm approvals on deck; B-N group-buy matches first, Bloomington Pantagraph. McLean County is on track to have 18 solar farms considered for state approval this spring, with small-scale solar development still marching along after another successful group-buy program. StraightUp Solar Photo: A solar farm at Home Nursery, a wholesale nursery in Albers, Illinois. An Iowa electric cooperative and Idaho-based solar energy company have announced joint plans to build the state’s largest solar project. Boise-based Clénera will build and operate Wapello Solar, a 100-megawatt solar facility in Louisa County, according to a December news release. Energy provider Central Iowa Power Cooperative, which has offices in Des Moines, Cedar Rapids, Creston and Wilton, will purchase the energy for 25 years. First filed in June, the approved IRP allows the electric utility to enter into power purchase agreements with six planned solar photovoltaic plants across the state, with a total capacity of 1,001 megawatts. subsidiary, Consumers Energy. Interview conducted by Andy Balaskovitz. Xcel Energy: Utility of the Year? resources (DERs), with 2018 DER deployments exceeding additions for centralized generation. The SolSmart Application has been revised. Click here to download and review it. 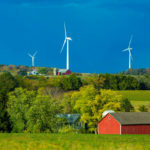 This entry was posted in Nebraska / Midwest News, NewsBlog and tagged climate action, distributed energy resources (DERs), economic benefits of climate action for local communities, Mayors for Solar, microgrid investments, Nebraskans for Solar NewsBlog, renewable energy development in the U.S., SolSmart, Xcel Energy on December 26, 2018 by Helen Deffenbacher. 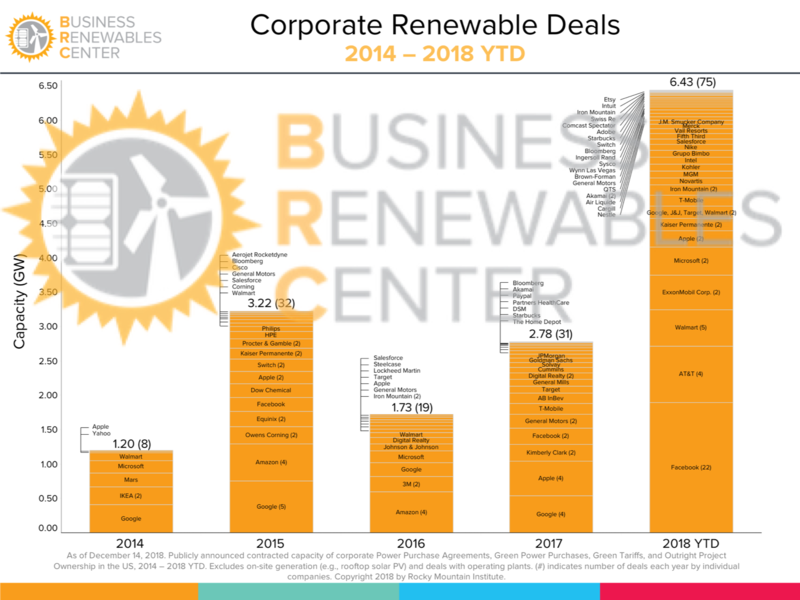 Corporate renewable energy procurement has set a new single-year record for new capacity of announced wind and solar deals in 2018, the Business Renewables Center (BRC), a membership program at Rocky Mountain Institute, reported in its updated corporate-backed renewable energy procurement deal tracker. 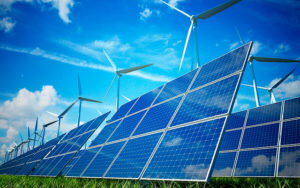 accelerate toward a prosperous, low carbon economy.” Read more here. Rattlesnake Creek wind farm in Nebraska. value. Iowa, with more than $1.8 billion in planned starts and completions, leads in terms of project value. 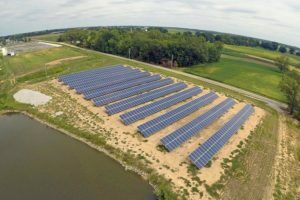 The St Louis Post-Dispatch reports that solar companies are streaming into Illinois and partnering with farmers to lease some of their land for solar projects. But this is not happening only in Illinois. 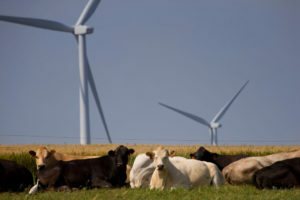 Across the nation, wind and solar investments are revitalizing rural economies, providing a boost to the ups and downs of farm income. expanded operations to Colorado and looks forward to continuing to expand into several additional states in 2019. If you want to install solar panels for your house or business, you’re likely to find a faster and more user-friendly permitting process if your community has earned a SolSmart designation. storage capacity to 1.5 GW by 2025 and 3 GW by 2030.
future of electricity and transportation. 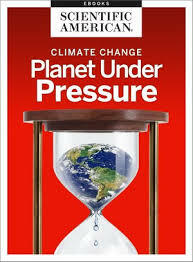 From increasingly severe storms to collapsing coral reefs to the displacement of Syrian citizens, in this eBook we examine the effects of Earth’s changing climate on weather systems, ecosystems and human habitability and what this means for our future. This entry was posted in Nebraska / Midwest News, NewsBlog and tagged corporate renewable energy procurement, economic benefits of renewable energy for rural communities, microgrids, National Renewable Energy Laboratory, Nebraskans for Solar NewsBlog, RMI guide to support non-wires projects to reduce costs, RMI's Business Renewables Center (BRC), Rocky Mountain Institute (RMI), Scientific American E-Book - Climate Change: Planet Under Pressure, SolSmart on December 19, 2018 by Helen Deffenbacher. 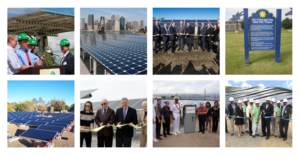 More than 200 mayors representing cities in every U.S. state have signed on to Environment America Research & Policy Center’s “Mayors for Solar Energy” letter, embracing a collective vision for solar-powered communities. Norfolk Mayor Josh Moenning is one of two representing Nebraska, along with Lincoln Mayor Chris Beutler . . . The number of signatures on the Mayors for Solar Energy letter has more than tripled since December 2017, and Environment America Research and Policy Center expects that number will continue to grow. Learn more here. The annual Shining Cities report ranks the U.S.’s largest cities in terms of their total and per capita installed solar potential. Making Sense of Energy Storage report can help cities understand the role that energy storage can play in their renewable energy transition. Lincoln, Nebraska is a SolSmart Designee. Previously Posted NPPD News Release: NPPD, Norfolk seeking grant for battery energy storage project. 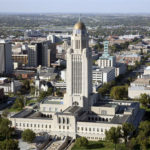 Funding for battery energy storage system (BESS) demonstration project is being sought by the Nebraska Public Power District and the City of Norfolk that would be tied to a proposed community solar project planned for that community in 2019. This entry was posted in Energy Storage, Nebraska / Midwest News and tagged Environment America, Lincoln - SolSmart Designee, Lincoln Mayor Chris Beutler, Mayors for Solar, Norfolk Mayor Josh Moenning, SolSmart, SolSmart Designees on November 14, 2018 by Helen Deffenbacher. 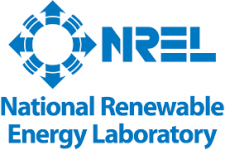 Visit the Nebraska Wind & Solar Conference website to view the 2018 schedule featuring Rob Chapman of the Electric Power Research Institute, an update from Nebraska state senators, and much more. 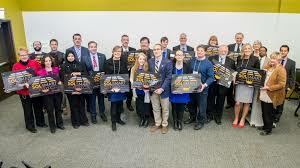 The National Association of Counties (NACo) and the National League of Cities (NLC) have launched two Challenge Campaigns for local governments to showcase their support for solar energy. This year’s prizes include a “techno-economic analysis” for solar installations on up to five sites, which can help communities better understand the costs and benefits of proposed solar projects. The Challenges run until Friday, September 14, 2018. Only communities that have not yet submitted a SolSmart Application are eligible for the Challenges. Existing SolSmart designees may not participate. But even if your community is not eligible, we encourage you to spread the word to your neighbors. Visit the NACo and NLC blog posts for more information and entry requirements. Metropolitan Mayors Caucus, a coalition of Chicago-area communities, advised 15 municipalities and counties and successfully led them to earning SolSmart Bronze, Silver, and Gold designations. MMC took a collaborative approach, setting up bi-weekly conference calls with all 15 communities, which generated unique ideas and easily facilitated the exchange of resources and information. Thanks to SolSmart, MMC and the communities that participated were able to develop effective strategies to make it faster, easier, and more affordable to go solar, tailor-made to each community. Read More about Metropolitan Mayors Caucus experience. This entry was posted in Nebraska / Midwest News, NewsBlog and tagged Case Study: Metropolitan Mayors Caucus, local and national opportunities, Nebraska Wind & Solar Conference, SolSmart on August 14, 2018 by Helen Deffenbacher. Until recent years, businesses seeking on site solar energy had to negotiate a thicket of regulatory glitches and permit issues for solar installations. Practically every solar buyer had to reinvent the wheel, leading to increased costs at the least, and insurmountable obstacles at the worst. Fortunately, those days are fading into memory as the solar market matures. In the latest sign that it’s getting easier to go solar, 200 US cities and counties — accounting for a population of almost 60 million people — have signed on to the SolSmart solar engagement program. Read more here. 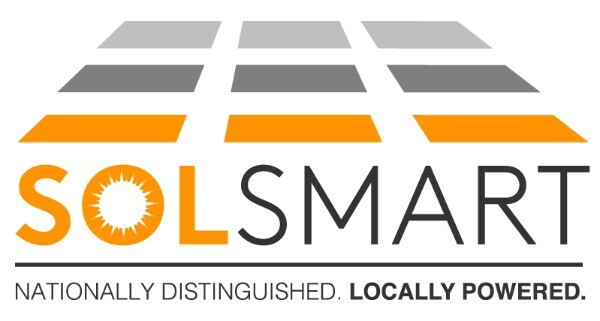 These May 16 SolSmart webinars discuss the application process. This entry was posted in NewsBlog and tagged Lincoln Environmental Action Plan, SolSmart, SolSmart Designees on May 12, 2018 by Helen Deffenbacher. IOWA CITY — Nearly two dozen public meetings have been scheduled to help educate area residents on Johnson County’s Solarize program — which incentivizes private solar development through volume purchasing prices. Similar to last year’s Solarize program in Linn County, the first of its kind in Iowa, the program is administered by the Midwest Renewable Energy Association. The Cedar Rapids and Linn County Solarize program concluded with about 607 kilowatts of solar energy added to 105 properties. Read more here. Photo: Stacks of solar panels. Bulk purchasing is a central part of Solar Group Buy & Solarize Programs. 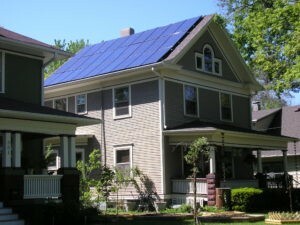 This entry was posted in Nebraska / Midwest News, Solar Group Buy and tagged Nebraskans for Solar NewsBlog, saving with bulk purchasing of solar panels, Solar Group Buy Programs, solarize programs, SolSmart, USDA Rural Energy for America Program Grant Applications on April 9, 2018 by Helen Deffenbacher. SolSmart Celebrating 100 City and County Designees – Including Lincoln, Nebraska! More than 100 cities, counties, and small towns all across America are designated SolSmart Gold, Silver, or Bronze. Lincoln, Nebraska, currently a SolSmart Bronze Designee, has the goal of achieving Gold. 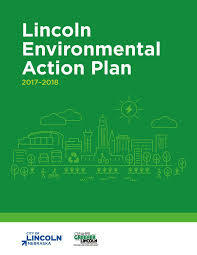 See Lincoln Environmental Action Plan 2017-2018. Since the SolSmart program, administered by The Solar Foundation, launched in April 2016, it has been providing no-cost technical assistance to help communities improve the business climate for solar energy. SolSmart is using this “100 communities” milestone as an opportunity for local governments to celebrate what they’ve achieved to date and to invite others to join them. Check out SolSmart’s map and you’ll see designees are all across the country. They range from major metro areas like New York City, Atlanta, and Chicago; to small towns like Red Wing, Minnesota and Pinecrest, Florida; to rural counties like Inyo County, California and Delta County, Colorado. SolSmart works with local governments to develop the tools they already have to make it faster, easier, and more affordable to go solar — no matter the size of the community or where they are located. Click here to learn how your community can join Lincoln as a Nebraska SolSmart designee. This entry was posted in Nebraska / Midwest News, NewsBlog and tagged 100 SolSmart communities, City of Lincoln - SolSmart Designee, Lincoln Environmental Action Plan 2017-2018, SolSmart, SolSmart's map on October 6, 2017 by Helen Deffenbacher.